Take freelance writing for example. It is one of those careers that comes with no prior requirements, other than a firm grip on one popular language. While it will not make you affluent, by any chance, freelance writing is undoubtedly better than flipping burgers, with some people making a little over $100,000 a month. Getting started as a copywriter is simple, and we have an entire segment dedicated to just that. 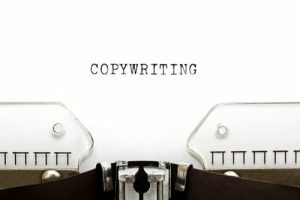 The idea here is to enroll in copywriting courses, some of which are entirely free – no strings attached. But as imagined, the free classes aren’t as detailed as the paid ones. So, you might want to hop on popular e-course websites like Udemy and Coursera, to see what other aspiring writers are doing. Mostly, these courses are built around three writing principles. The first one is how to find the thin line between writing clear write-ups and over-explaining stuff. It is an area that most writers struggle with, as there is no clear-cut solution. Simplicity is yet another favorite topic with writing courses. They explain how your choice of words can either break or make content, as the overly complicated words are known to put off readers. Overall, people want to read jargon-free texts written in elementary language. Another common topic for writing courses is elegance. You need to present your work sumptuously to impress editors, and hopefully convert a couple of visitors. So go for bullet points, subheadings, and be sure to leave lots of white spaces. There’s also a section on how to land your first gig as a newbie writer on content mills. These workspaces typically have editors who analyze every piece of writing you submit, then point you in the right direction. And since writing is more of an art, it’s only through practice and learning that you will improve your skills. Content mills are a sure way of making money as a writer, as they usually have large batches of work going around all year long. Direct clients, on the other hand, are less forgiving compared to content mills, but the rates are pretty sweet. So, it is better to work for content mills, until you have at least one year worth of writing experience. Taking about direct clients, we also have a little section on how to go about that. We share several sites that always have writing opportunities for the most deserving writers. But be warned, this is the most grueling part of being a freelancer, as you will face lots of rejections before landing a few clients.